Negotiated based on order quantity and production schedule. We have strictly quality control system in our production process. We have 4 times inspection for each finished product before package. 2 YRS Henan Xinsheng Energy-Saving And Decoration Building Materials Co., Ltd. If you need other special products, please contact with us and our technical engineers can provide you the products and applied technology. APEO-free; Good adhesion to metal; Good humidity Resistance and good gloss in coating; Emulsion can be combined with urethanes, epoxy esters and alkyds. Used for the preparation of industrial waterborne paint, for metal finishes, anticorrosive primers, plastic and wood. 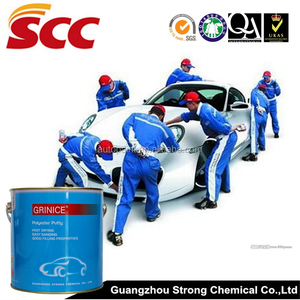 We use the high level of technology to product the advanced to produce car paint We also accept OEM order! Strict quality control and steady product performance . 9 . Great brand image, advanced color mixing system and excellent customer service system. Application Suitable for general interior precast concrete,prefabricated part,plywood board, gypsum board, calcium silicate board and other primary wall leveling. Property With a strong adhesive force, easy construction, not roll skin, not dry, after Scraping the surface smooth and delicate texture, not polished off the powder. Packaging & Shipping Package: 25kg bag or customized. It is one of the largest-scale corporate in coating industry&#65307; one large private high-tech enterprise group with development, production, sales capacity in China chemical industry. Also you can have your own design about the package details if the quantity is big engouh. Once Bardese receives your deposit, it can arrange your order immediately. 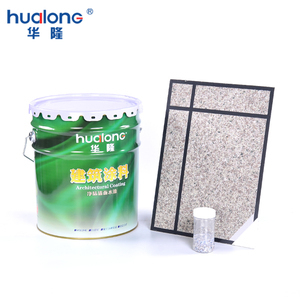 Waterproof chemicals, interior and exterior wall putty powder. 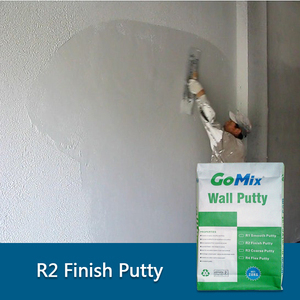 Tags: Waterproof Chemicals | Wall Putty Powder. It's developed for achieving a smoother and flatter surface before applying finish paint coating. It is best suited to minimize paint consumption, increase paint adhesion and extend its durability. Every batch of the products being produced will have 4 times inspection before packaged. 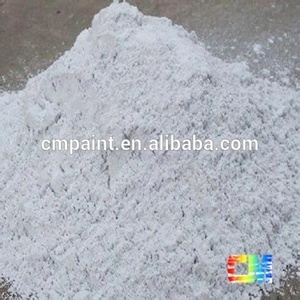 Waterproof wall putty for interior wall Interior wall putty is a kind of waterborne and environment-friendly cement based powder coating which can be used on concrete surfaces,plasterboard,brick wall,etc . Product Product Information: 1. Appearance: white powder 2. Base: Portland cement base 3. Coverage: 0.8~1.2 kg/sqm 4. Touch Dry Time: &le;5 hrs (20&deg;C). 5. Alkali Resistance(48 hours): no change 6. Packing Size: 15 kg /bag,20kg/bag 7. Mixing Ratio (powder: water): 20kg powder: about 10 kg water 8. Application Tool: electrical blender, spraying gun, grinding tools etc. 1 YRS Henan Huikang Construction Material Co., Ltd.
limestone powder based wall putty production small plant/ limestone powder putty making machine 1 ton per batch composed of auger conveyor, multi-spiral mixer, twice elevator, storage silo, valve type antomatic quantatitive packaging machine. 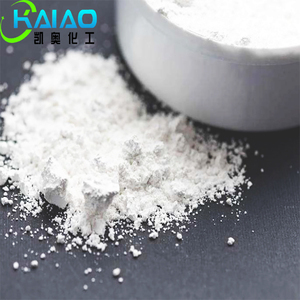 Feature Features of white cement based lime powder mix production machine/ white cement wall putty mixer with valve bagger This system has improved as an effective production line on the basis of multi spiral ribbon mixer. The finish products feed into storage silo through twice elevator can complete filling without interfering next materials to produce. 2018 indoor producing dry mix wall putty production machine plant/ small mini dry mix wall putty production line valve packing is mainly composed of auger conveyor, multi-spiral mixer, twice elevator, storage silo, valve type antomatic quantatitive packaging machine. Feature Features of 2018 indoor producing dry mix wall putty production machine plant/ small mini dry mix wall putty production line valve packing This system has improved as an effective production line on the basis of multi spiral ribbon mixer. Cork wood are placed in front or behind the machine to protect it. 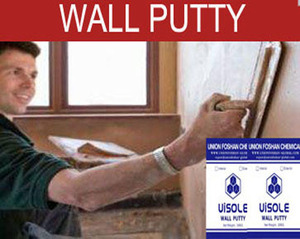 Alibaba.com offers 3,370 chemical wall putty products. About 19% of these are adhesives & sealants, 2% are dry mortar machines, and 1% are building coating. A wide variety of chemical wall putty options are available to you, such as building coating, construction, and appliance paint. You can also choose from acrylic, polyurethane, and epoxy. As well as from brush, spray. And whether chemical wall putty is free samples, or paid samples. 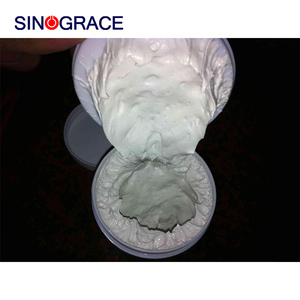 There are 3,370 chemical wall putty suppliers, mainly located in Asia. 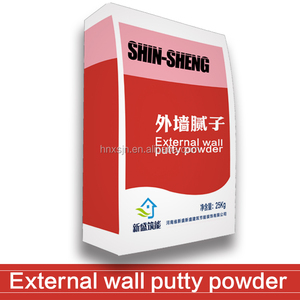 The top supplying country is China (Mainland), which supply 100% of chemical wall putty respectively. 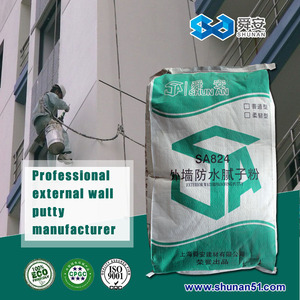 Chemical wall putty products are most popular in Southeast Asia, Domestic Market, and South America. You can ensure product safety by selecting from certified suppliers, including 1,351 with ISO9001, 585 with Other, and 158 with ISO14001 certification.